Cross Creek Farms is excited and incredibly proud to announce a few awards that have been received by our very own CCF-bred young horses! CCF Hibiscus Coast (Durango La Silla – CCF Fisher King) finished as USHJA Zone 8 Horse of the Year Champion for the 5-year-old Young Jumper division, as well as placing third in the nation. Stablemate CCF Savusavu (Ocean I – Andiamo) took HOTY Reserve Champion under Zone 8. CCF Yasur (Ocean I – Andiamo) completed the year as HOTY Champion for the 6-year-old Young Jumper division under Zone 8. And CCF Caramel (Durango La Silla – Charisma 57) placed fourth in HOTY standings for Zone 10 and eighth in the nation for the 7-year-old Jumper Division. CCF Caramel and Michelle Parker | Owned by Dana B. Nemeth | Carol B. Parker Photography. We are greatly looking forward to 2017, and especially excited to preview the next group of talented CCF young horses during the upcoming Winter Circuit. Posted in Horses, Michelle Parker, Natasha Traurig, Show Results, Young Jumpers. Michelle Parker and Cupilor Capture the Title! Michelle and Cupilor receiving their well-earned Markel Insurance 1.40m Grand Prix Series Title during the Las Vegas National Horse Show, CSI4*-W.
Michelle Parker secured her title as leading rider of the Markel Insurance 1.40m Series! In nearly every single qualifying grand prix this year, Michelle and Cupilor finished in the top eight placings, heading to Las Vegas with a lead of 441 points and a great chance in the final class of the series. 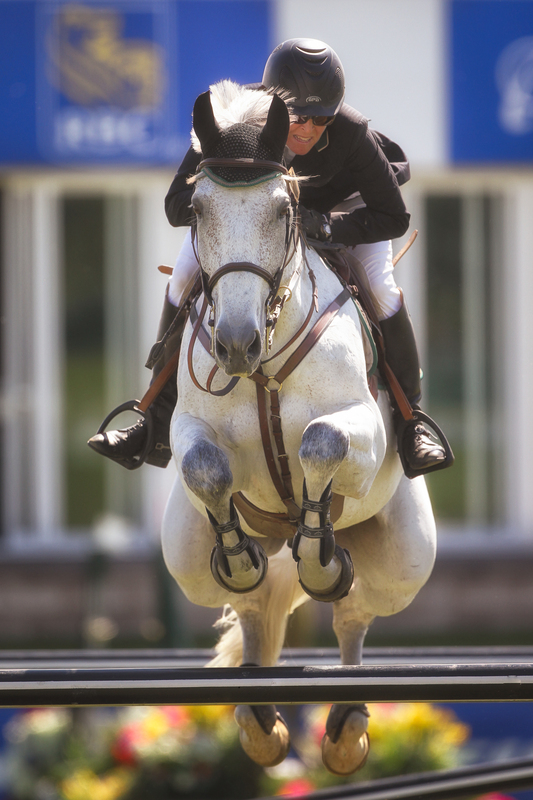 With $61,850 offered for prize, the Markel Insurance Grand Prix Final exhibited 25 horse and rider combinations, 11 of which would further to the jump-off. Below is a video of their jump-off round, taking the win by a full second and proving their leader board title. Stablemates, Vancouver 45 and Doriena, also competed at the Las Vegas National Horse Show. Videos here showing 9-year-old Vancouver taking home a sixth place finish, followed by an eighth placing with 8-year-old Doriena, in an extremely fast $40,000 FEI Speed Stake. Stay tuned for more year-end results and awards, and updates on our up-and-coming young horses. Happy Holidays from the Cross Creek West team! Posted in Cupilor, Horses, Michelle Parker, Show Results. 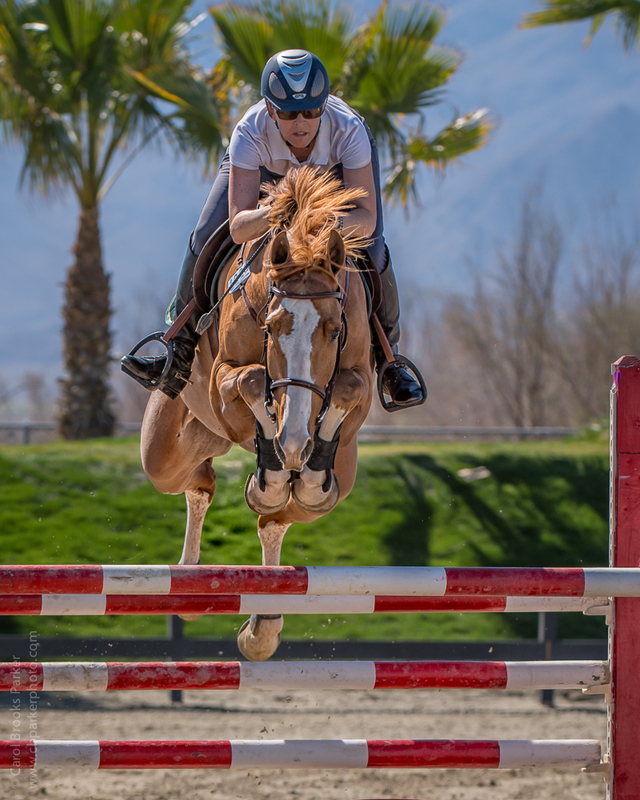 The Cross Creek West team just returned from two weeks of competition in San Juan Capistrano for Blenheim’s Fall Tournament and International Jumping Festival. From child/adult amateur jumpers to grand prix classes, our riders and horses came home with many top placings and accomplishments. During Blenheim’s Fall Tournament, Katie Rotunno and her mare, Modena, participated in this year’s USHJA Adult Amateur Jumper Championships. More than 30 riders from Zones 9 and 10 came together for both team and individual competition during this championship, which was spread over the course of four days. Just a four-fault score gave Katie a 7th place finish in Round 1 of Individual Competition. But the highlight of the championship was certainly the Team Competition round, where Katie and her three other teammates from Zone 10 secured a silver place finish! Katie Rotunno and Modena, all smiles after a completed Blenheim’s Fall Tournament with a Reserve Champion in the USHJA Adult Jumper Zone 9/10 Championship. Michelle Parker continues to add to Cupilor’s impressive Grand Prix resume, garnering top placings in both Markel Insurance Grand Prixs held during the two weeks at Blenheim. Week one exhibited a 1.40m track, designed by Marina Azevedo, to challenge 45 horse and rider combinations in Sunday’s $30,000 Markel Insurance Grand Prix. Out of the eight that returned for the jump-off, Michelle rode the fastest track time, but an unlucky four-faults left the pair with a sixth place finish. Michelle was given SmartPak’s “Fastest Jumper in the West” Award – well deserved! Another $30,000 Markel Insurance Grand Prix took place on Saturday of week two, where a field of 35 horse and rider combinations navigated a 1.40m course designed by Olaf Petersen, Jr. First to qualify for the jump-off, Michelle and Cupilor returned to lay down a fault-free and very fast time. The lead was secured up until the very end, resulting in a second place finish for the pair this time. Vancouver 45 took home a 10th place finish as well, having just four-faults in the first round. Michelle is #1 in the rankings for the 2016 Markel Insurance Grand Prix Series – going into the finals in Las Vegas! Cupilor and Michelle Parker riding to a double-clear performance. Our Young Jumpers once again had their chance to shine during Blenheim’s Young Jumper Finals for five, six, and seven-year-olds. In the Five-Year-Old Finals, Natasha Traurig rode homebred CCF Hibiscus Coast and CCF Savusavu – “Biscuit” taking home a fifth place overall after accumulating just four-faults in the final round of competition. Michelle Parker took CCF Yasur to a fourth place finish in Round 1 of Six-Year-Old competition, a third place finish in Round 2, and an overall fourth standing after Round 3 in the finals. Our seven-year-olds, Eureka and CCF Caramel, competed in their age section of Blenheim’s Jumper Finals under Michelle’s guidance: Eureka taking home a blue ribbon after day one, and a seventh place overall; and homebred CCF Caramel achieved a fourth on day two and fifth place final standing. As we begin to conclude the 2016 Young Jumper Division, we are very proud of our homebred Cross Creek Farms horses that have made tremendous improvements and gathered great success throughout the show year. CCF Hibiscus Coast is leading the Zone 8 Horse of the Year Award for the five-year-old jumpers, and she is currently ranked third in the nation! CCF Savusavu is sitting in second place for the Zone 8 HOTY Award for the five-year-old jumpers as well. Our CCF Yasur topped the Zone 8 HOTY award for the six-year-old jumpers. And seven-year-old CCF Caramel ranked fourth in Zone 10, and eighth nationally for her age division. These young horses certainly have bright futures ahead as they continue to progress in their careers as top show jumpers. CCF Hibiscus Coast (Durango La Silla – CCF Fisher King); PC: Carol Parker Photography. CCF Savusavu (Ocean I – Julio Mariner). CCF Yasur (Ocean I – Andiamo); PC: Carol Parker Photography. CCF Caramel (Durango La Silla – Contango); PC: Carol Parker Photography. Catch up with the Cross Creek West horses next at the Del Mar International Horse Show! Posted in Cupilor, Michelle Parker, Natasha Traurig, Show Results, Young Jumpers. Well, coming off of a week of numerous classic wins, the Young Jumper Championships did not go quite as planned; however, we are happy with the performances of our horses, nonetheless! Natasha Traurig participated in the 5-year-old section of the Young Jumper Finals with CCF Savusavu and CCF Hibiscus Coast. Though normally accomplishing effortless clear rounds, “Savu” had an unlucky rail in Round One, and two unexplainable rails in Round Two; therefore, leaving without a place in this year’s Championship standings. Our “Biscuit,” however, had a different story to tell, accurately demonstrating clean rounds in every qualifying class. Ultimately advancing to the tie-breaker jump-off between the top six 5-year-old jumpers with three faultless rounds, Biscuit tried her very best, but an unfortunate rider mistake around a turn in the jump-off concluded their final standing with a sixth place. Michelle Parker rode CCF Yasur in the 6-year-old section of the Young Jumper Finals. Guiding a fresh “Pele” to a clean Round One, the pair walked back to the barn sporting a blue ribbon and first place standing. An unlucky rail in Round Two sparked the pressure to be as impeccable as possible in the final round on Sunday. A good boy, Pele kept his feet up while following Michelle’s precise guidance to a fault-free final round and ninth place overall finish in the Championship. Among our 7-year-olds that participated in the Young Jumper Championships, CCF Caramel and Eureka simply had some unusual tough luck, both having faults in each round of the final. Easy to say, we cannot win them all! And we are pleased enough with the progression of our young horses. Doriena and Michelle continued their success this week! A fault-free and fast jump-off placed the pair at the top of the 1.45 Jumper Class on Wednesday, and took home a seventh place finish in Saturday’s $20,000 Interactive Mortgage Horses 10&U Classic. And, of course, Cupilor could not complete his second week at Showpark without Grand Prix ribbons. Thursday’s $25,000 1.40m Markel Insurance Grand Prix was filled with 52 entries, and offered a challenging 14 horse jump-off. Cupilor’s slightly rambunctious attitude in the jump-off created a turbulent turn and a resulting rail, finishing with an eighth place. Two days later proved to be a little more lucky for Cupilor and Michelle in the $50,000 Showpark All Seasons 1.50m Grand Prix. Over a difficult course and tight time-allowed, only four out of 34 combinations returned for the jump-off – Cupilor being one of them after a brilliant first round. Taking the risk to gallop after Will Simpson’s quick time, Michelle rode slick turns and was ahead of the game until the very last jump, where Cupilor barely touched the adversary yellow rail of the wide oxer coming home. A fourth place finish, but proud moment as Cupilor continues his consistency at 1.50m Grand Prixs. Considering the weekend’s conclusion, the show exhibited a quieter atmosphere. We decided to trailer in our CCF 4-year-olds for a little adventurous outing to get them all more accustomed to horseshows. With ease and interest, hunter prospects Salsa and Solito are practically ready to begin their show career, while jumper prospect Chipotle continues his education and is coming along quite nicely. We are looking forward to the future for these youngsters! Catch us in a week at Blenheim’s Fall Tournament! Posted in Cupilor, Horses, Michelle Parker, Natasha Traurig, Show Results, Young Jumpers. What an amazing and successful week the Cross Creek West team had at Showpark’s Summer Classic! We certainly left with many top placing ribbons, and high hopes for the next show week ahead. Michelle Parker continues to develop Cupilor’s Grand Prix record in winning ways. Thursday’s technical 1.40m track, designed by Anthony D’Ambrosio, proved to be a test for 49 horse and rider combinations in the $25,000 Markel Insurance Grand Prix. Out of eight combinations to return for the jump-off, Michelle secured the win by taking the advantage to leave out strides where possible and making slick, efficient turns. Cupilor, again, took home a top ribbon, finishing fifth in Saturday’s 1.50m $50,000 Grand Prix of Showpark. With only one unfortunate rail in the first round, Cupilor and Michelle still left with a pink ribbon and a place in the money. This eight-year-old mare is a fresh face at Cross Creek West. Owned by Idyllic Imports, Doriena came to CCW just a few weeks ago and is proudly offered for sale. With this week being only the second horseshow for the pairing, Michelle and Doriena are proving to be quite a team already, leading the victory gallop on Saturday’s $7,500 Interactive Mortgage Futurity 10&U Series qualifier. 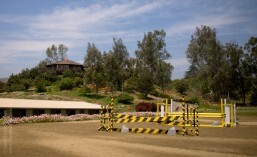 Another track set by D’Ambrosio, this class exhibited a course of fences starting at 1.35m in height and finishing at 1.40m. Only two advanced to the jump-off – Michelle and Doriena being victorious with the only double-clear performance! We considered this week to be a preparation show for our many young horses that will take part in the West Coast Young Jumper Finals, featured next week at the same venue. Simply put, our five, six, and seven-year-olds certainly did not disappoint in results. Assistant trainer Natasha Traurig has been developing two five-year-old Cross Creek Farm homebreds, Hibiscus Coast and Savusavu, for almost a year now since working for Michelle Parker. She has made quite a team with both spunky CCF “kids,” demonstrating clear rounds in almost every young jumper class entered. This week, CCF Hibiscus Coast won two blue ribbons in the five-year-old jumpers, while CCF Savusavu proved his growing maturity by earning the champion ribbon in the YJC Classic – being his one and only class of the week! Six-year-old CCF Yasur added to our ribbon collection under Michelle’s piloting, freshly winning one of his young jumper classes this week after some time at home. Michelle also rides and trains the seven-year-old Eureka, a little mare with tons of scope, who has shown success in both the hunter and jumper arena at such a young age. With already a win in the seven-year-old jumpers this week, Michelle guided Eureka on a brilliant track to victory in her YJC Classic over the weekend as well. We are greatly looking forward to the week ahead for our Cross Creek youngsters! This week was completed with a second place finish for Michelle and Vancouver 45 in the $5,000 1.35m Jumper Classic. Our tackroom setup is decorated with some brightly-colored ribbons and we are more than ready for Showpark’s All Seasons Summer Tournament! Congratulations to our baby superstar, Cupilor, who continues his winning ways, most recently topping the 2013 West Coast Young Jumper Championships in the six-year-old division. He had all fault-free rounds and defeated the only other clear horse in the final round jump-off by about 3 seconds. Michelle found Cupilor at Branscomb Farm when he was a four-year-old and fell in love with him. She’s been bringing him along slowly and carefully, but still takes home the blue ribbon more often than not. Cupilor is allergic to wood and knows the game. He has all the scope and we expect great things from this youngster as he matures. Posted in Horses, Michelle Parker. Socrates de Midos was imported by Michelle in 2008 from Europe as a grand prix prospect, and from the get-go he proved himself to be a worthy campaigner. Within just a few months of his arrival he had already earned two Grand Prix blues, including a prestigious Oaks/Blenheim event where he had the only clear round in a field of talented horses. Year after year he has continued to garner prizes on the grand prix field. This year alone he has laid down at least 13 clean first rounds in California grand prix competition. He has multiple prizes to his credit and still continues on his careful way. Just this month at Sacramento he placed 3rd out of 60+ horses in the $33,000 Grand Prix on Thursday, and returned again Saturday night to jump double-clean to score a 4th place, again in a field of more than sixty horses. Posted in Horses, Michelle Parker, Socrates de Midos.